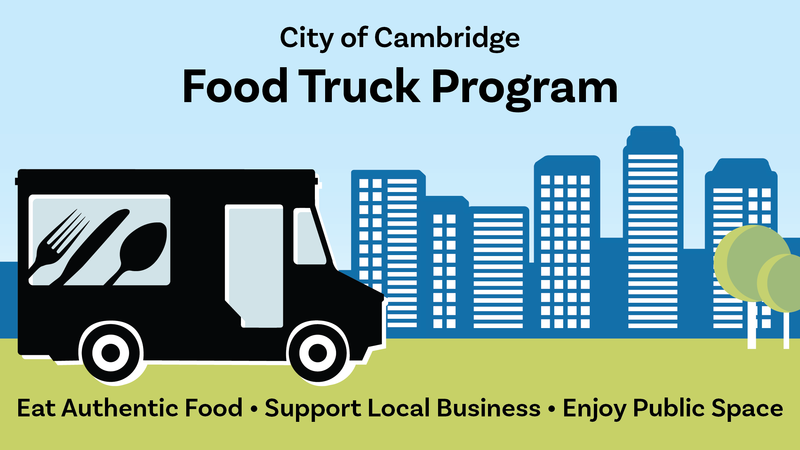 The City of Cambridge is currently accepting applications for its Food Truck Program, which will continue to bring a variety of food trucks to locations in Central Square, Cambridgeport, and North Point Park. The food truck vendor application period is open until February 22, 2019 and program shifts for the 2019/2020 season will take effect May 1, 2019. To be eligible for vending consideration, food truck operators must complete an application provided by the City’s Community Development Department. They must also be licensed and permitted by the City prior to the start of vending. Special consideration will be given to women- and minority-owned businesses, businesses operated by Cambridge residents, new businesses (2 years or under), and businesses without a brick-and-mortar restaurant. An internal review committee will determine food truck scheduling at each location using a system that considers the eligibility requirements detailed above. Additionally, a People’s Choice Poll, available online in late February 2019, will invite Cambridge community members to vote on their top vendor choice at select, high-demand locations. Final program schedules, including food truck vendors at each location, will be announced in April 2019. The program follows a successful year-long Food Truck Pilot, which provided entrepreneurial opportunities to vendors, diverse food offerings to patrons, and additional street level amenities to Cambridge public spaces. The Food Truck Program will continue in the spirit of the Pilot, helping to incubate and grow food truck businesses, with a focus on women- and minority-owned businesses as well as first-time food truck operators and businesses owned by Cambridge residents. Food trucks that have been vending through the Food Truck Pilot will remain in their shifts until April 30, 2019. For more information about the City of Cambridge Food Truck Program and food truck vending at private locations, visit cambridgema.gov/foodtrucks. Read how the Cambridge Food Truck Pilot helped The Pull Up, LLC refine and expand its food truck business.